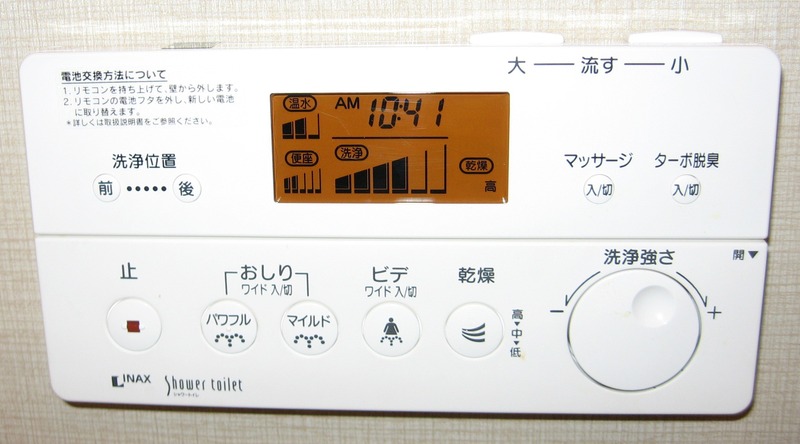 When people think of Japanese toilets – as I’m sure many of us often do – they think of the high-technology toilet with all the buttons, that looks more like a space-ship than an actual toilet. Standard functions include two sprays of water (one for boys and one for girls), a blow dryer and preheated toilet seat. Often there will also be a button for ‘a flushing sound’, meant to stifle any unladylike noises you might produce. The control panel for a high-tech toilet. It almost has more buttons than the remote for our tv. Every once in a while you meet a really smart toilet, that detects your presence automatically and greets you with classical music. These kind of toilets know when you’ve finished your business and flush automatically. I’m always grateful for automatic flushers because finding the right button to flush with can be a challenge sometimes. That’s right. It’s the ‘glorified hole in the floor’ toilet, the kind you have to squat over (face to the left on the above picture). Who would expect this in a high-tech society like Japan? 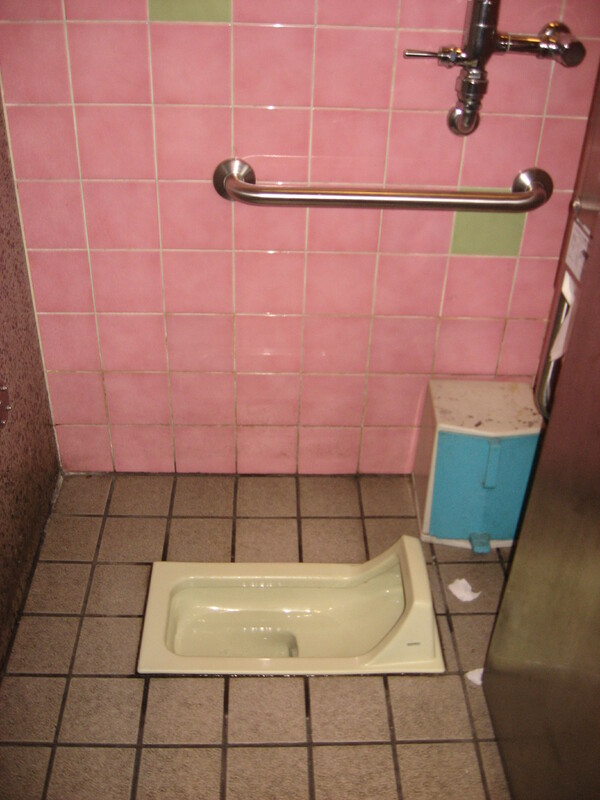 But this is in fact the traditional Japanese toilet. It is especially abundant in smaller towns, the countryside and in traditional Japanese venues. If you plan to spend some time in Japan, you’d better get used to this. This entry was posted in Culture, Japan and tagged Impressions of daily life, Japanese culture, Nagoya, Strange Japanese things, Toilet, Traditional Japan by Haruko-chan. Bookmark the permalink. Actually in Japan sometimes the doors are also marked with Western style toilet (洋式 yōshiki) and Japanese style toilet (和式, washiki), or even with some convenient illustrations. As an American, I’d never experienced anything other than, well, American style toilets. 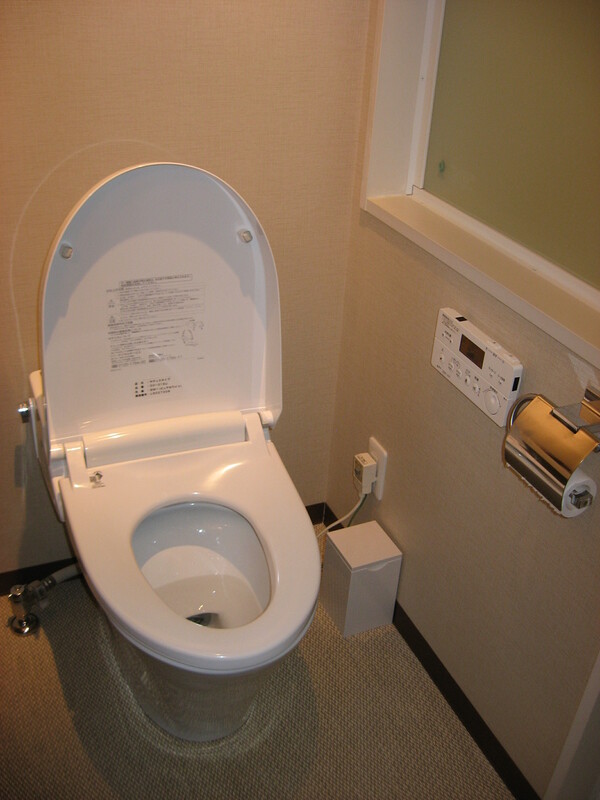 I didn’t mind the traditional Japanese toilet, but positioning oneself well took a little getting used to. When we visited Beijing, one of the public restrooms had “sit” and “squat” marked on the stall doors so a choice could me made. Loved the wording! Definitely a photo opportunity. 🙂 Thanks for sharing! That sure is a universal thruth! Actually in Belgian we call this kind of toilet a ‘French toilet’. When Belgian people go on holiday to the south of France, they encounter these toilets along the highway to the south. 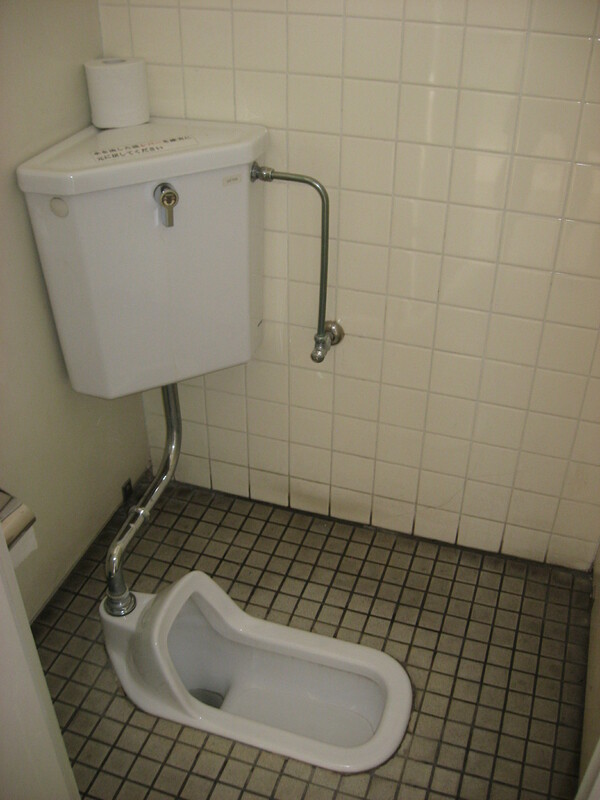 It was one of the things I disliked most about going on holiday as a kid: having to use these kinds of toilets. Fortunately I’ve grown out of it and am now fine with using them. I was so surprised when I was in Italy, I believe just outside of Milan, that the public restroom looked like the last two pix above. And in China, though I had read about it, when I actually came to experience squatting and facing the way you came in (i.e. the door if there is one but often not) that was a different experience.